The city has an untapped resource of wide roads and space to accommodate varied access options. 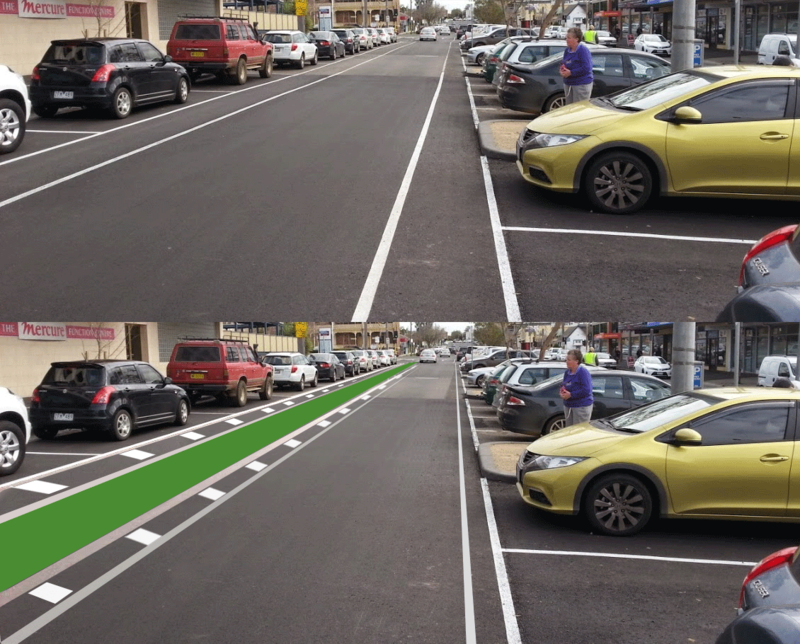 Changes to streets can happen quickly and relatively cheaply with repainting lines for the benefit of bike riders, walkers and public transport users. CBD streets a repainted almost every second year. $5million (2015/16) is spent on resurfacing streets without critical changes happening that will get people out of cars. 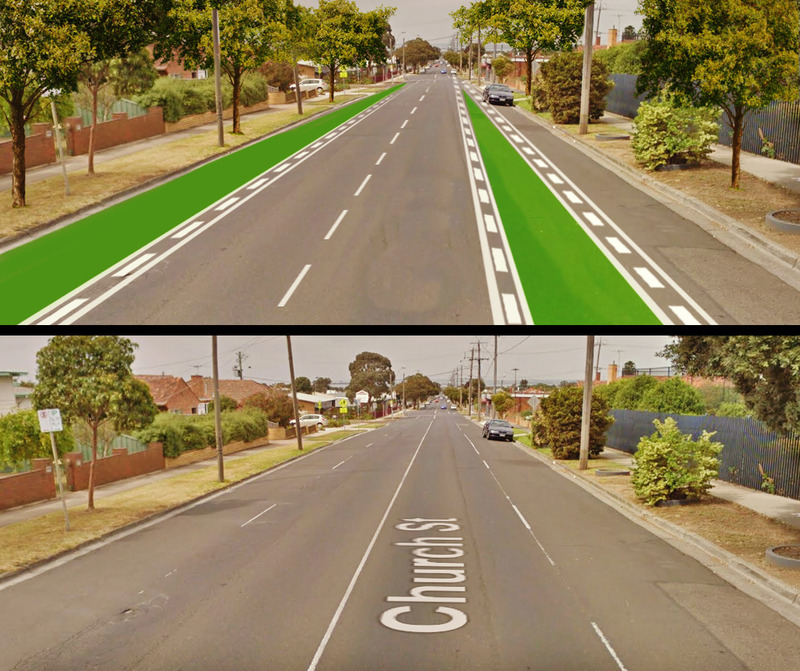 We’re asking that the Geelong Council and VicRoads analyze all road maintenance works for improvement to rider safety – encouraging more people to ride. If you’d like to help our campaign of visualising and communicating the need for cheap onstreet interventions please get in touch. Mercer Street Geelong could do with some white paint, green paint and trees. It will make this shopping strip a destination rather than just a thoroughfare. Shifting the parking can get people riding by making it safer with bike paths near the naturestrip. 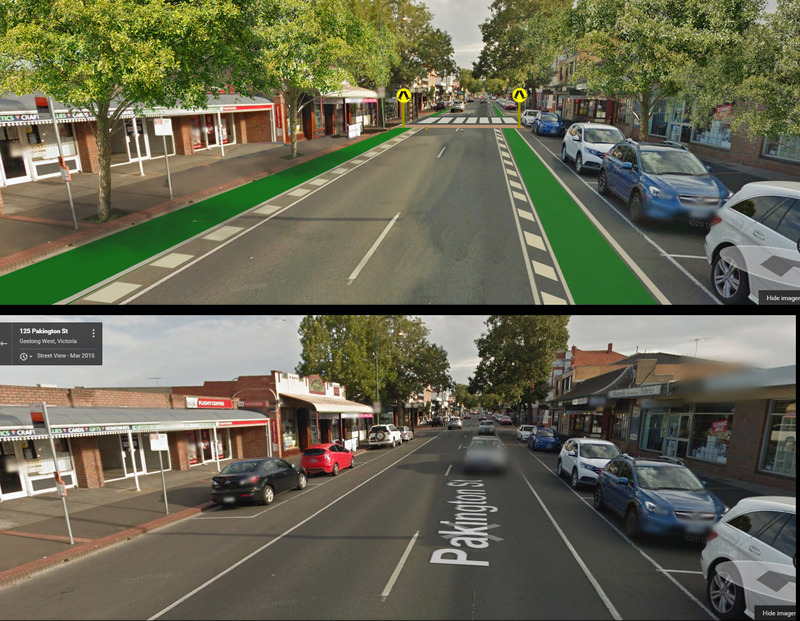 Kilgour street is so wide – Let’s utilise it better.